Our range of roller type stainless steel cable are simple in construct and are easy to install. Stainless Steel ties find a vast application for collecting and organizing electric wires and cables. we offer Each & every type of cable ties in different sizes and in different material i.e. 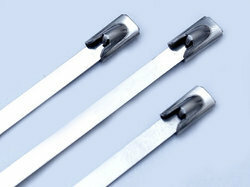 SELF-LOCKING STAINLESS STEEL CABLE TIES provides a strong, durable method of bundling and fastening. The ties are designed for use in application where strength, vibration, weathering, corrosion extremes are a factor. 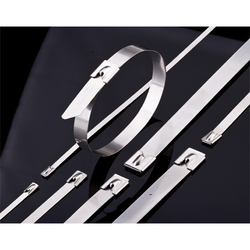 We known for our product range Stainless Steel Ties, available at best prise.